I finally made the Galatians print into a cutting board. So excited to give this as a gift this year. I ordered it from Snapfish when they were having 50% off storewide and free shipping. I think I spent $19 total. Let me know if you want the JPEG so you can make one. I’m friends with Dacia Droke (we were stationed at Vance together), and I just saw a picture of y’all together on Facebook 🙂 I can’t remember if I found your blog through Pinterest or maybe from her blog?? Anyway, I’m really glad I found it 🙂 I love the prints you make, and the cutting board is a wonderful idea! I would love the jpeg of this print (and any others!) so I could print them off & frame them for my house 🙂 I hope that’s ok! Could I print it on a canvas for my kitchen? This is one of my favs!! I would love a copy of this to use for christmas gifts. It is lovely! yes of course. It is on its way! Oh, I love this! I would love one also. Do you think it would print well on a 8×10 canvas? I am not very good with things like that, but it would be perfect for my kitchen! And I would love to give one to my sister as well. Thanks so much! Oops just saw this too Sarah. Let me look into the canvas. I might just need to add some extra border so the apple doesn’t get wrapped around onto the sides. Not a problem. I think it would look great esp if you can find a good deal on a canvas. I will email you the file I have now, but I will work on one that will work for a canvas. Would love a copy of this! If you get it to print on canvas I’d love One of those too! Thank you! Hi I found your blog and this image is EXACTLY what I’ve been looking for. Would you e-mail it to me? I found your blog through pinterest and I am in awe of your creativity and talent! I’d love to put this on a canvas for my classroom. Would you mind sharing? Thanks for making The Word even more beautiful with your prints! I LOVE this! would you mind sending this for me? Thanks for sharing your talent! Just came across your blog tonight! A wonderful and refreshing stop :). Would I be able to get a copy of this too? yes I will email it to you now 🙂 Thanks for reading!! Your work is beautiful. Thank you for sharing with us. Could I also get this? I love the cutting board idea! I just emailed you 🙂 Thank you!! This is absolutely lovely! I have found your blog through a link on A Holy Experience and will be sure to visit regularly now. I would appreciate a copy of this too.Thank you!! Thanks so much Christy 🙂 just emailed you! May I have the jpeg file? My kids just studied this verse in our Wednesday night church program. 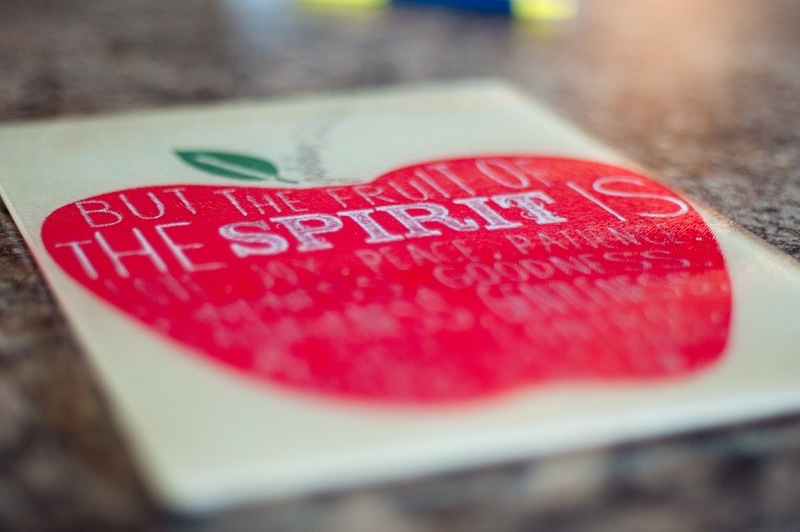 This print would make a great gift for their teachers. Thanks! You are so creative. Can I please get a copy of this verse? Thank you!!!! Can you send me a copy of this? Love it! Love this print! Could you send me the jpeg if you still have it?! Email is reganchappell@gmail.com. Thanks so much! May I have the JPEG of this please? Love this idea! 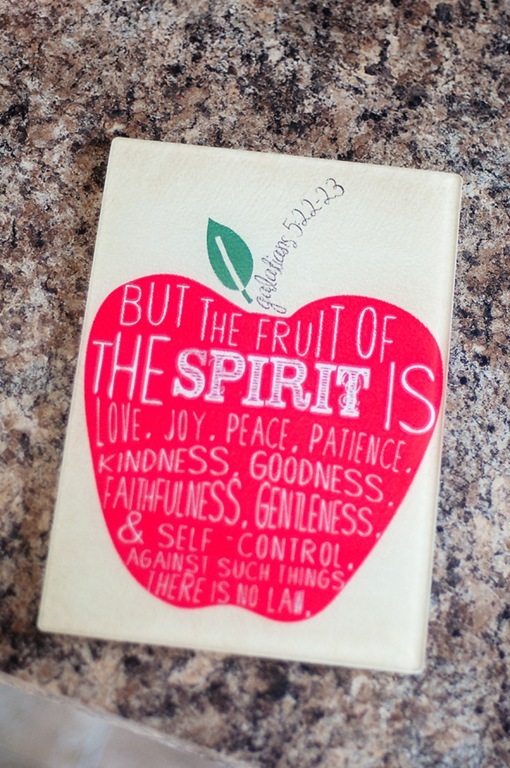 How did you paint the cutting board with the Fruit of The Spirit? How did you get that beautiful picture on the cutting board? oh Snapfish was where I ordered it from. I just took my jpeg and uploaded to their site.